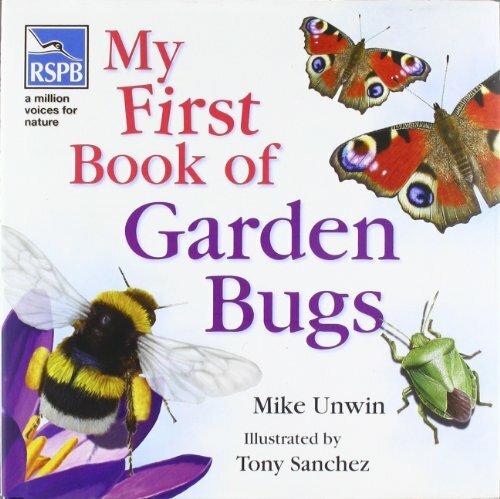 My First Book of Garden Bugs is a perfect introduction to some of the common bugs that can be found in the garden. Captivating illustrations are combined with lively text. Try to guess the animal from the clues then turn over the page to discover its name and more facts. Take a journey through the garden and discover the bugs that are living there. The beautiful illustrations create the world of the garden, combined with text that leads young readers to the hiding places of various bugs. inviting them to guess what creature they have found. My First Book of Garden Bugs is the perfect introduction to the names of some common garden insects, along with interesting facts about them.